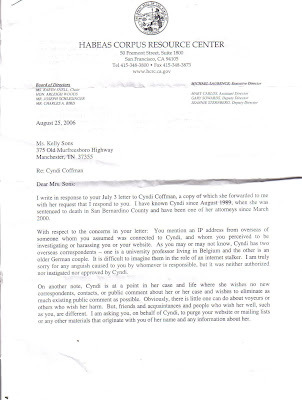 This is the letter that I received from Cynthia Coffmans Attorney. I got it back in the summer and still havent replied to it. Ive been so ticked off at Cyndi.